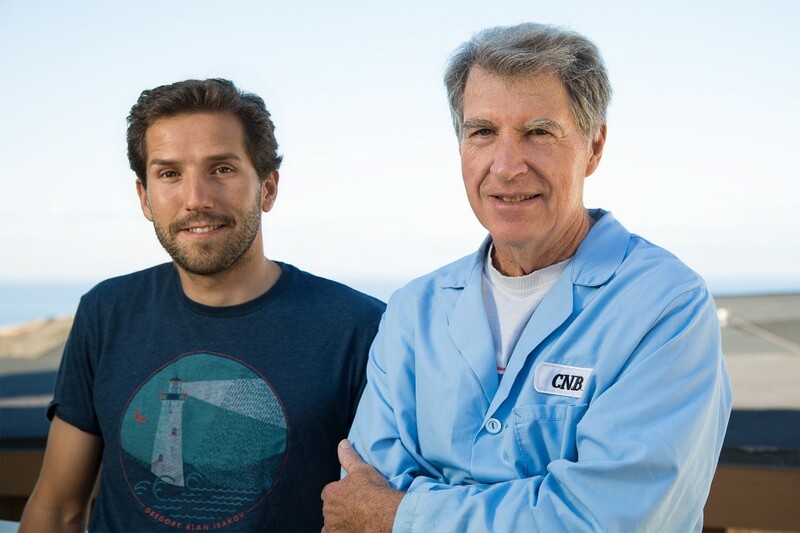 LA JOLLA–Salk Institute researchers have found that an experimental drug candidate aimed at combating Alzheimer’s disease has a host of unexpected anti-aging effects in animals. The Salk team expanded upon their previous development of a drug candidate, called J147, which takes a different tack by targeting Alzheimer’s major risk factor–old age. In the new work, the team showed that the drug candidate worked well in a mouse model of aging not typically used in Alzheimer’s research. When these mice were treated with J147, they had better memory and cognition, healthier blood vessels in the brain and other improved physiological features, as detailed November 12, 2015 in the journal Aging. Several years ago, Schubert and his colleagues began to approach the treatment of the disease from a new angle. Rather than target amyloid, the lab decided to zero in on the major risk factor for the disease–old age. Using cell-based screens against old age-associated brain toxicities, they synthesized J147. Previously, the team found that J147 could prevent and even reverse memory loss and Alzheimer’s pathology in mice that have a version of the inherited form of Alzheimer’s, the most commonly used mouse model. However, this form of the disease comprises only about 1 percent of Alzheimer’s cases. For everyone else, old age is the primary risk factor, says Schubert. The team wanted to explore the effects of the drug candidate on a breed of mice that age rapidly and experience a version of dementia that more closely resembles the age-related human disorder. The old mice that received J147 performed better on memory and other tests for cognition and also displayed more robust motor movements. The mice treated with J147 also had fewer pathological signs of Alzheimer’s in their brains. Importantly, because of the large amount of data collected on the three groups of mice, it was possible to demonstrate that many aspects of gene expression and metabolism in the old mice fed J147 were very similar to those of young animals. These included markers for increased energy metabolism, reduced brain inflammation and reduced levels of oxidized fatty acids in the brain. Another notable effect was that J147 prevented the leakage of blood from the microvessels in the brains of old mice. “Damaged blood vessels are a common feature of aging in general, and in Alzheimer’s, it is frequently much worse,” says Currais. Currais and Schubert note that while these studies represent a new and exciting approach to Alzheimer’s drug discovery and animal testing in the context of aging, the only way to demonstrate the clinical relevance of the work is to move J147 into human clinical trials for Alzheimer’s disease. “If proven safe and effective for Alzheimer’s, the apparent anti-aging effect of J147 would be a welcome benefit,” adds Schubert. The team aims to begin human trials next year. Salk has an issued patent on J147 licensed to Abrexa Pharmaceuticals.